Now in its 67th year ÊTheatre WorldÊ is the most comprehensive record of the theatrical season-Broadway Off-Broadway and Off-Off-Broadway including listings for over 60 regional companies. Detailing more than 2 000 productions each entry includes photos a complete cast listing producers directors authors composers opening and closing dates song titles and plot synopses. 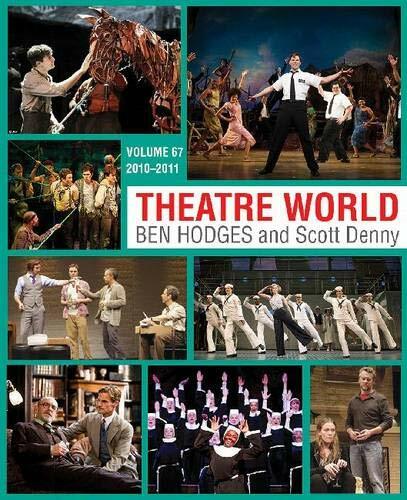 ÊTheatre WorldÊ also features the year's obituaries a listing of all nominees and winners of the major theatrical awards the longest-running shows on and off Broadway and a detailed index.ÞHighlights of the 2010-2011 season include the multi-award-winning musical ÊThe Book of MormonÊ. The National Theatre production of ÊWar HorseÊ transferred to a successful Broadway engagement at Lincoln Center Theater featuring the stunning puppetry of the Handspring Puppet Company. Larry Kramer's hit Off-Broadway play from the 1980s ÊThe Normal HeartÊ was revived on Broadway with a star-studded cast while Cole Porter's timeless classic ÊAnything GoesÊ had a glorious White Way revival at Roundabout Theatre Company's new Stephen Sondheim Theatre. The Signature Theatre staged Tony Kushner's ÊAngels in AmericaÊ while New York Theatre Workshop presented ÊThe Little FoxesÊ as well as ÊPeter and the StarcatcherÊ a prequel to Peter Pan.ÞÊTheatre WorldÊ continues its new tradition of including Broadway Off-Broadway Off-Off Broadway and Regional Theatre roundups written by accomplished theater critics and includes over 700 photos of the season. Established in 1994, we are a large new and used general interest bookstore located in the Uptown area of Minneapolis. Visit our online bookstore, www.magersandquinn.com, where we have over 500,000 new, used, and rare titles. Orders usually ship within 2 business days. Shipping costs are based on books weighing 2.2 lbs or less, or 1 kg. Heavy or oversized books may require additional shipping charges. International shipping: Rates depend on weight and destination of package.